Hello! 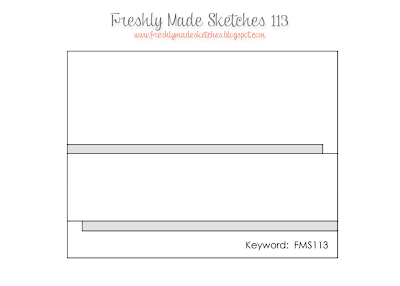 It's Wednesday already and there's a new sketch at Freshly Made Sketches! Time is just flying by! Last night I made cranberry jello for a Thanksgiving potluck at work later today. How did we get to Thanksgiving already?! Our very talented Cindy has an awesome sketch for you today. I've had this fun patterned paper collection from Crate Paper sitting on my desk for a while - I just love the fun patterns and colors! I framed the sentiment strip with glitter tape but unfortunately the photo doesn't show how pretty it really is. And how fun is that sentiment? 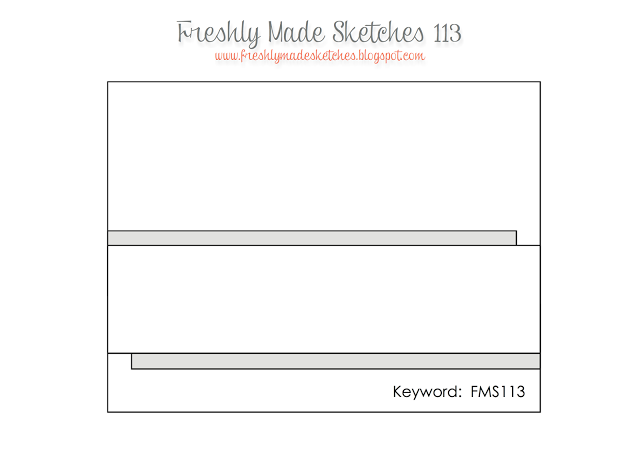 Be sure to stop by Freshly Made Sketches and check out the wonderful creations from the Clean Team! I've had a peek and they really outdid themselves this week! And please come and play. I'd love to see your take on Cindy's sketch! I love this vintage card! That paper is so fun! What a fun and sweet card! I love that dsp, and that is such a great sentiment! 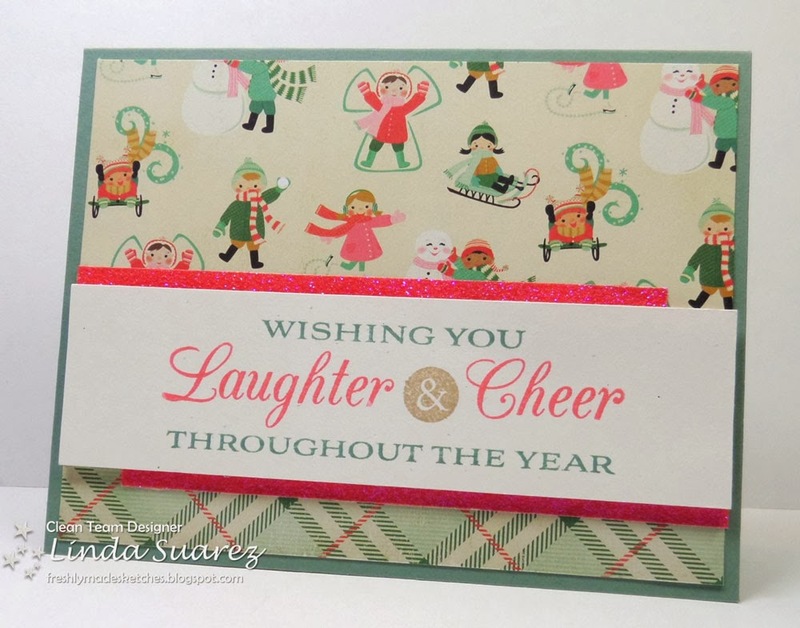 This is such a fabulous Christmas card Linda and I love the vintagey feel to your papers! Your card is super cute Linda, these papers are adorable. Love how you used the printed paper & made the sentiment the focal point--great use of the sketch! Gorgeous card,Linda!! I love the papers...fun and beautiful!! Oh Linda....I love this so much! That paper is just fabulous!!! I love the vintage look! I love that sentiment! Such a fun card! I LOVE that DSP! I love every little image in it, and I love the colors that you pulled from the paper for your stamped sentiment. GREAT CARD!